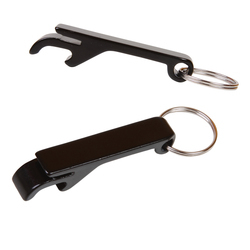 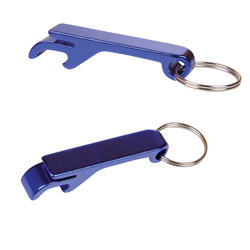 Aluminum bottle opener keychain, much like our plastic BO125. Designed for opening bottles and flip top cans. 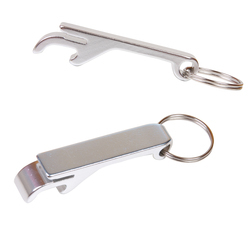 Metal split ring comes attached.